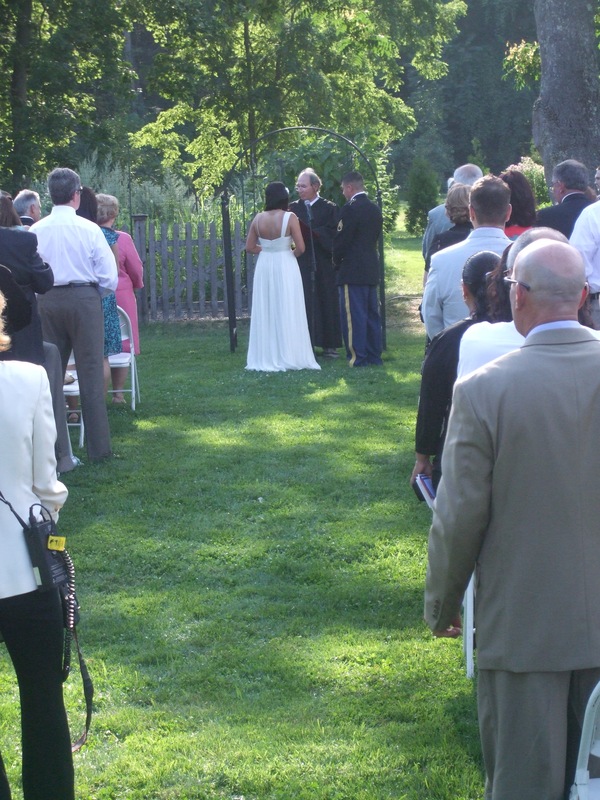 Annie and Jimmy, planned their wedding at Locust Grove in Poughkeepsie, NY, one of the Hudson Valleys oldest historical sites and not to mention one of the nicest places to have a wedding. Planning their wedding from out of town, Annie and Jimmy had to do alot of their detail work over the phone and through e-mail, but it all came together great as they had a wonderful wedding day! 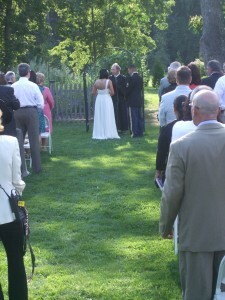 The ceremony took place outside next to the Heritage Garden. After the ceremony and some photos, Annie and Jimmy joined their guests for the cocktail hour on the outside patio. The wedding party and the bride and groom were introduced to the reception to “All you need is love” by The Beatles and for their first dance they danced to “The Way I am” by Ingrid Michaelson. After the first dance Annie and her father danced to Pete Seeger’s “You are my sunshine” and Jimmy and his mother to “On this day”. After the dances and a few toasts from Annie’s father and the best man and maid of honor, dinner was served by Lola’s Cafe. With the great service and food from Lola’s the night was off to a perfect start. Annie and Jimmy, enjoyed the company of their friends and family, some of which they hadn’t seen in a while. Throughout the night I, DJ Domenic played music from oldies swing era and some soulful Motown, alternative, jazz, it was quite a mixture. We ended the night with a final song Jason Mraz “I’m Yours” for the groom. Great night for a wedding! Thanks Annie and Jimmy. Photos from Tara Wing Photography.